Here we go ’round again! 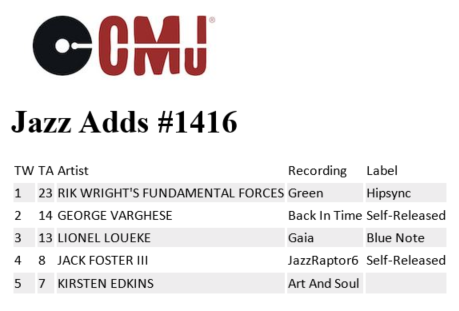 We’re the #1 add to CMJ Jazz station playlists this week. Let’s see where this takes us! This entry was posted in Newsletter on November 5, 2015 by Sunrise Pixels.